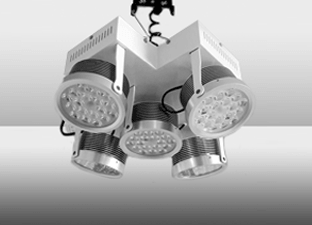 With a double gimbal adjustment the Attis-3, Attis-4, Attis-5 and Attis-7 range of LED grow lights provide high levels of light energy and are ideal for smaller glasshouse compartments, walk-in growth rooms and growth cabinets. Exceptional results have been achieved at multiple educational and research institutions. 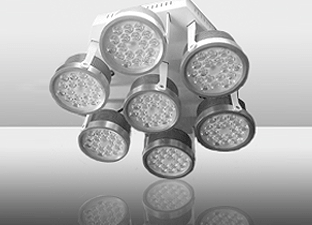 The Attis-7 and Attis-5 grow lights emit a high level of light comparable to that of a 600W and 400W HPS. These units are designed to simulate the light output characteristics of the HPS providing a wide and even spread of light. The Attis-4 and Attis-3 are designed for growth cabinets and walk-in chambers. 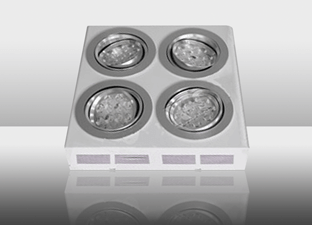 They are low-profile units that can be installed in close proximity to the growing area. 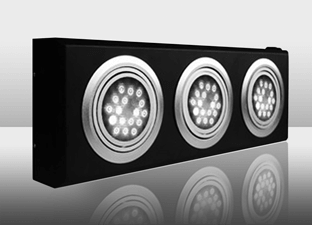 With a double 360° gimbal and different lens options, the uniformity of light can be adjusted to suit the installation.